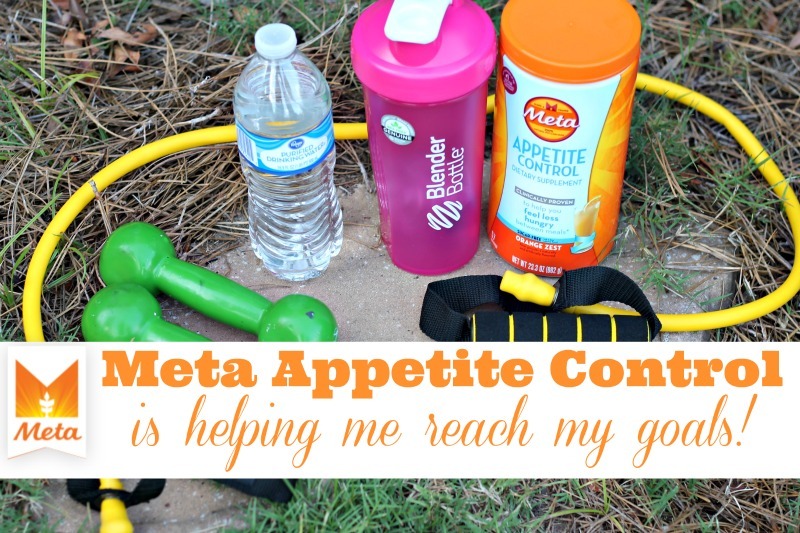 Meta Appetite Control is helping me reach my goals! I hate to admit it, but lately I have found myself struggling with my weight. I was doing great but then life happened. I started eating more junk, eating out of boredom and stress, not working out while also ignoring the scale! We all know there are many ways to lose weight, but fewer ways to lose weight and keep it off. The truth is weight loss is a lifestyle change. It’s about ditching bad habits and replacing them with healthier choices. It’s also about understanding your body well enough to know what works for you. So last month I decided to get back on track with a goal of losing ten pounds. However, my ultimate goal is to keep the weight off forever! After all this is a lifestyle change! The first step is to determine that you do have 10 pounds to lose, and that you are committed to doing it. It’s a simple step for most, but getting things right in your head is important for success. So decide you’re going to do it, say you’re going to do it, then go do it! Analyze your current diet. Keep a food log for a week. Write down everything you eat and drink. Don’t skip anything – not even a piece of candy or gum. Now look at your food log and analyze your current diet. Are there areas you need to improve? Write down your results. Improve your diet. Once you’ve analyzed your diet, you’re ready to improve it. Write yourself new meal plans, or purchase meal plans from a trusted source. Pick something you know you can commit to and don’t deprive yourself too much. This is intended to be a lifelong change. Get more active. If you were already an active person, you’re going to need to pump up the volume a lot more to get to that 10-pound goal. If you were not very active before, even walking for 20 minutes, a day can help you sped pounds. Don’t give up. Aside from getting right mentally, reducing stress where you can, getting enough sleep at night, staying active, and eating a healthy diet, the only thing else you need to do to lose weight and keep it off is stay consistent with your plan. Try Meta Appetite Control! Meta Appetite Control, a clinically proven fiber supplement that will help you get back in charge of your hunger while reducing your appetite for up to four hours! Since I decided to take control and change my habits Meta Appetite Control has been a lifesaver. I have to admit I was shocked how well it works with my appetite, especially for those late-night attacks which seemed to be my biggest struggle. With every Meta Appetite Control serving, the psyllium fiber in the powder thickens and forms a gel, which aids in the sensation of fullness. 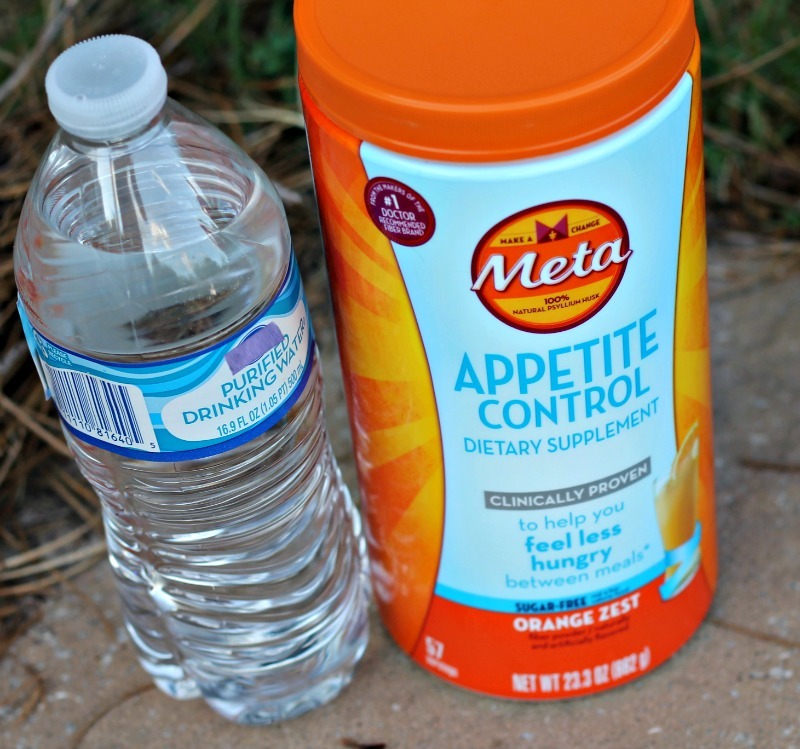 Meta Appetite Control is available in two flavors Orange Zest and Pink Lemonade Quench. I have been using the Orange Zest and I’m impressed with the overall taste and texture. I admit I was kind of scared the taste would be overbearing, but it tastes pretty good, I kinda feel like It taste like the drink Tang. My teenagers also loved it which says a lot!So now we can’t wait to try to Pink Lemonade Quench! However, If you don’t like flavors, they also have an unflavored version of Meta Appetite Control (Smoothie Enhancer) that is also available to add to your favorite smoothie or cold juice. Meta Appetite Control can be taken every day, up to three times per day, as a dietary fiber supplement. To help you feel less hungry between meals*. Personally, I have been using it two times per day with great results. I usually drink my first drink mid afternoon and then my second after dinner. This has really helped me stick to clean eating because I am not craving sweets late at night anymore. The best part is Meta Appetite Control is the #1 doctor recommended fiber brand so you can be assured you are getting the highest quality of natural psyllium fiber. There is no magic formula to weight loss. With these tips, you are well on your way to losing 10 pounds and not gaining it back. Now that you have the information, all that is left is to take action. This is actually the most important step. You need to take action, and then you must be consistent enough to keep it going. You can find Meta Appetite Control products and other Meta products in the digestive wellness aisle at your local Walgreens. 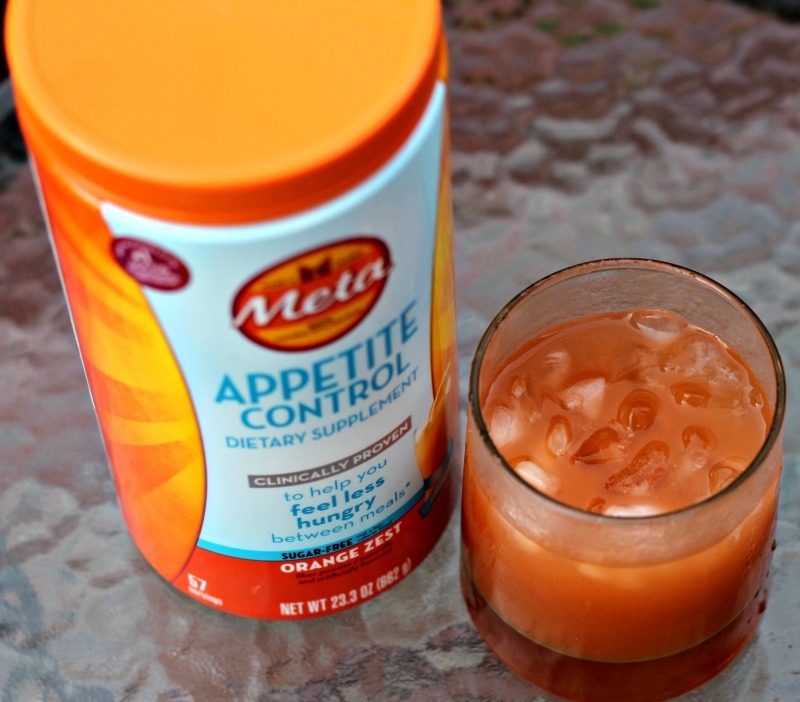 Get your $5 off coupon to try Meta Appetite Control today by filling out the form below.